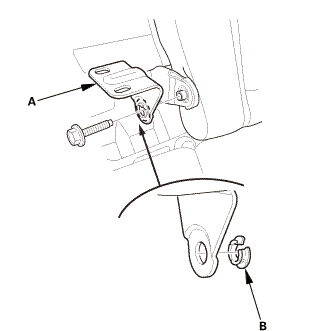 Remove the left rear wheel. 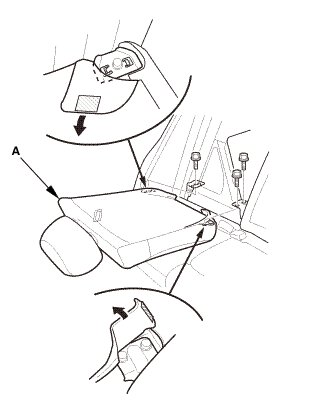 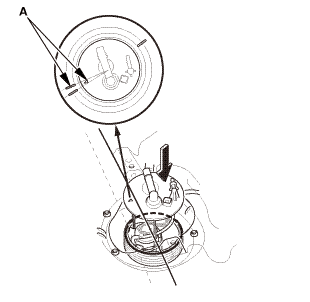 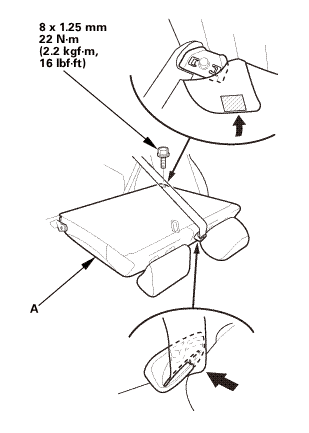 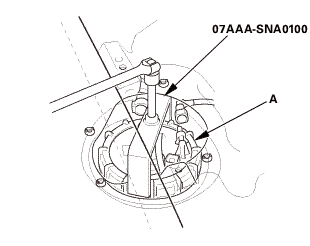 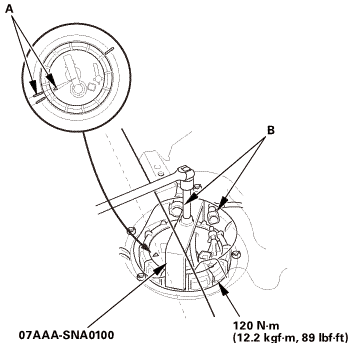 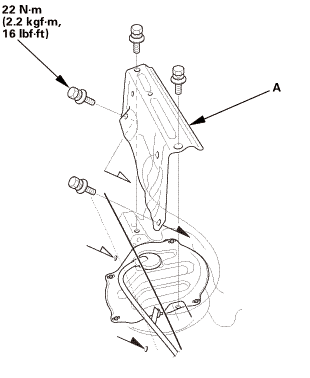 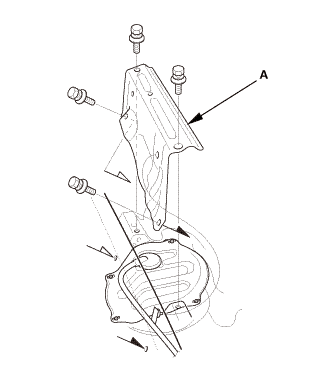 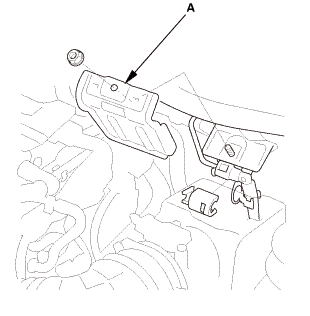 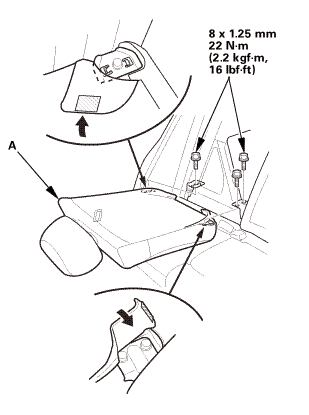 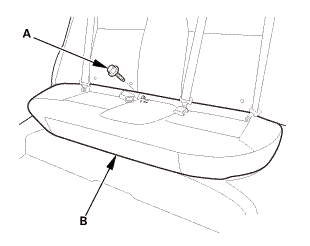 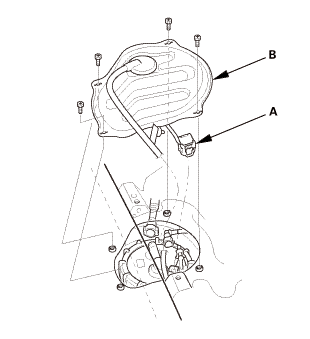 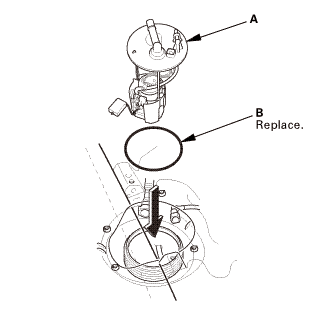 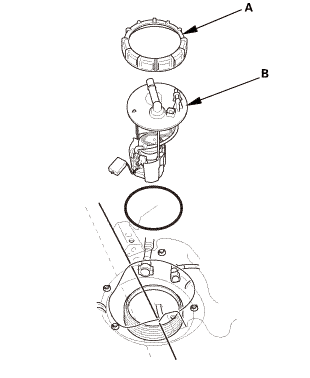 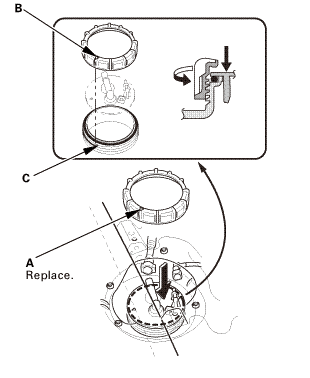 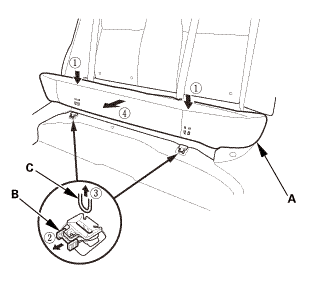 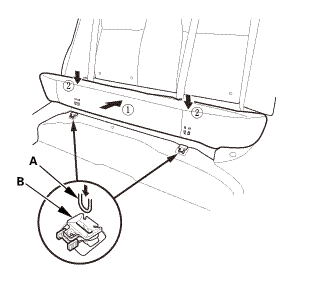 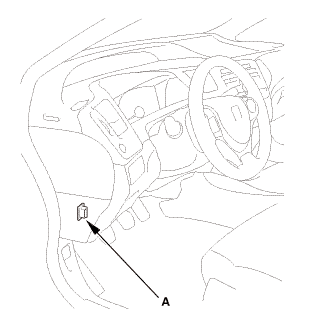 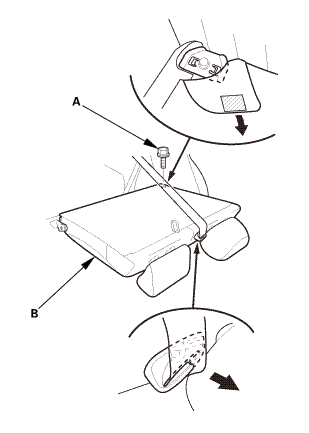 Remove the bolts (A) securing the fuel tank baffle (B). 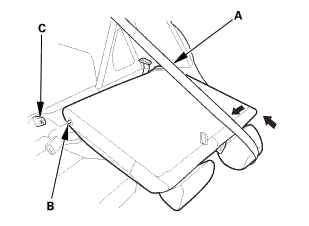 Remove the rear floor under bar (A). 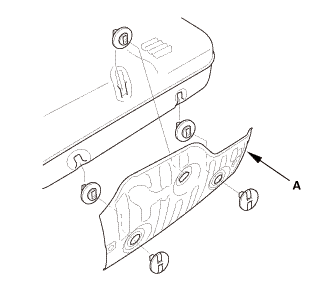 Remove the fuel tank baffle plate (A). 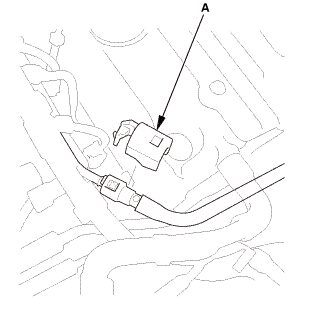 Disconnect the quick-connect fittings (A). 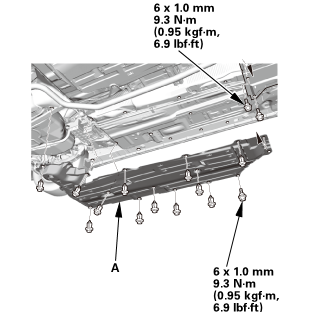 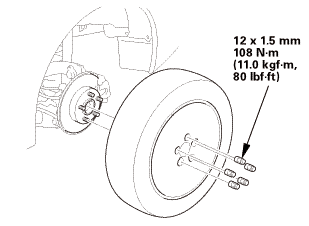 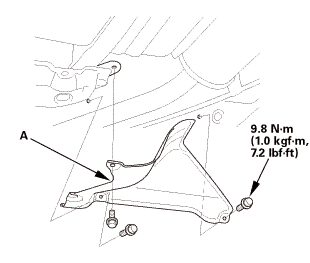 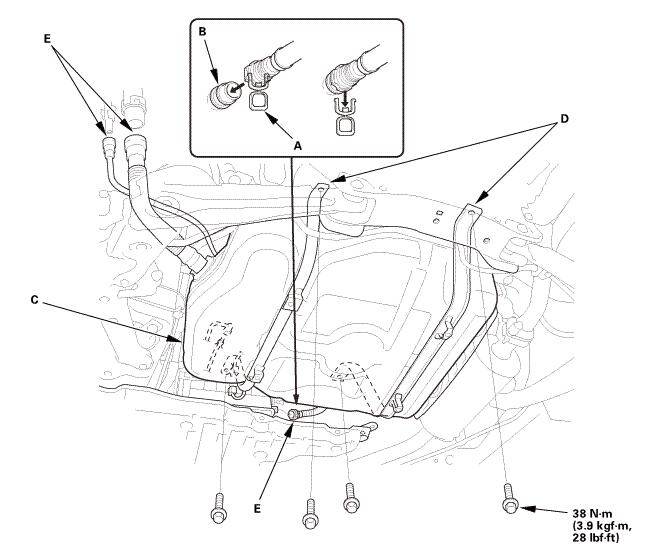 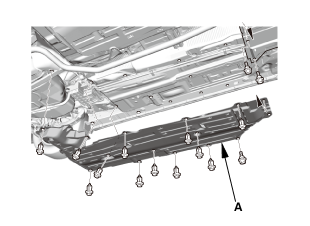 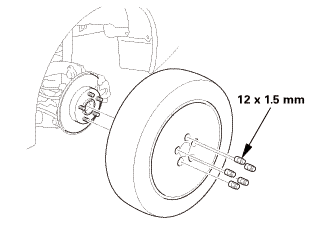 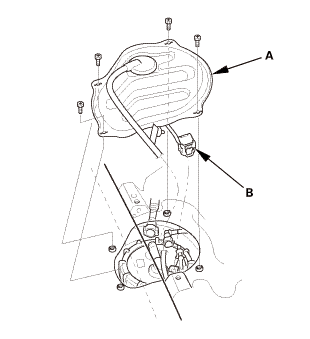 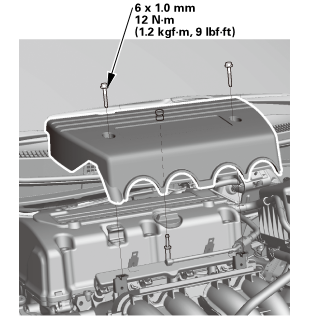 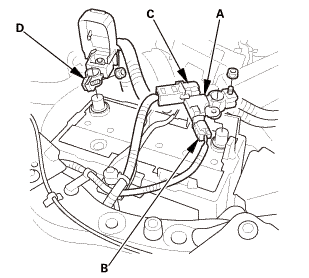 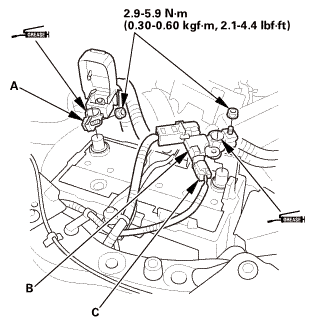 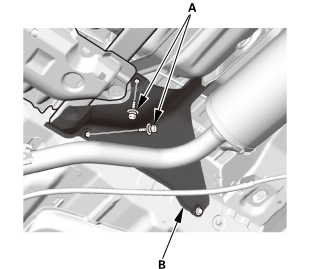 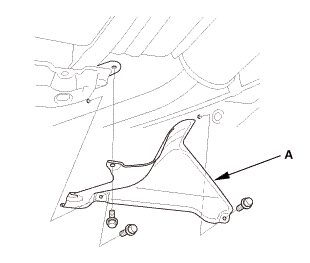 Place a jack or other support under the fuel tank (B). 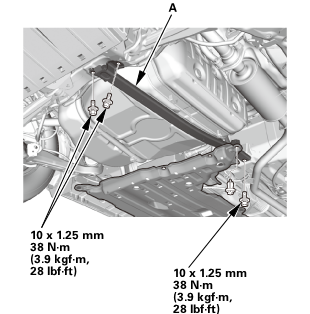 Remove the fuel tank (D). 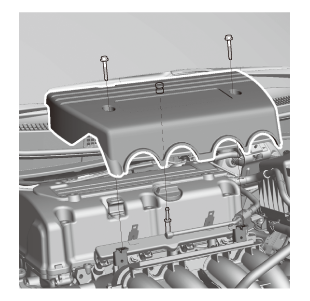 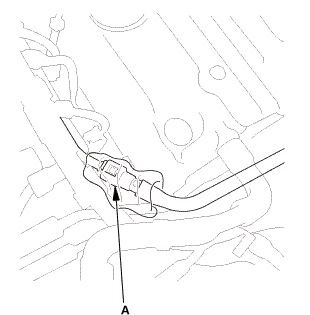 New fuel tanks have a ring pull (A) at the fuel vapor hose connector (B). 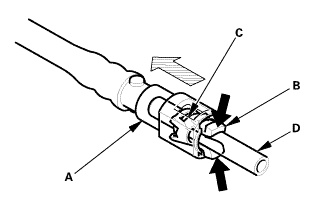 When you connect the hose and confirm that the connection is secure, remove the ring pull by pulling it down. 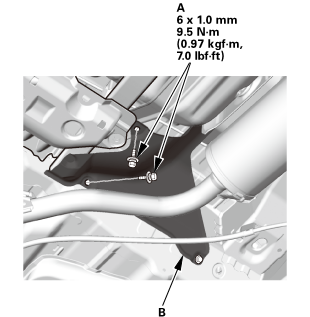 Before connecting the fuel fill pipe and the quick-connect fitting, check for dirt, and clean them if needed. 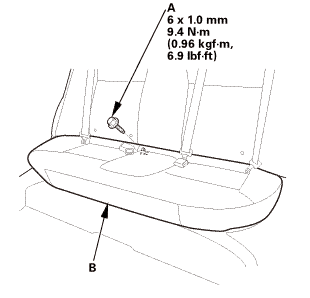 Take care not to damage the fuel fill pipe or other parts. 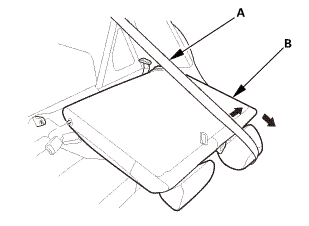 Place a jack or other support under the fuel tank (C). 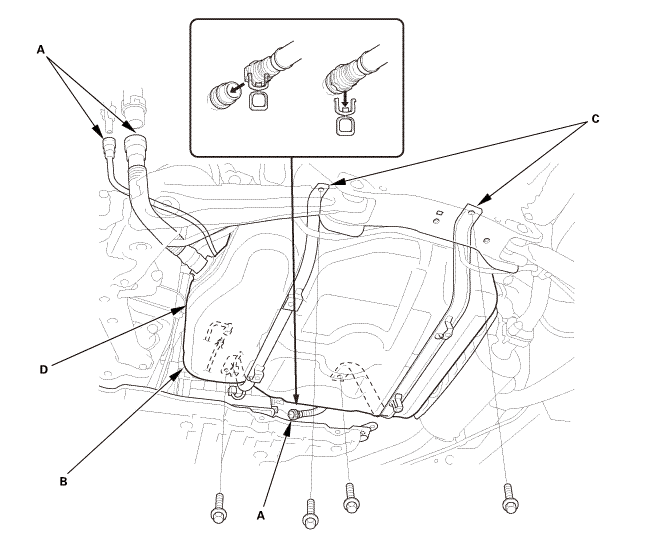 Connect the quick-connect fittings (E). 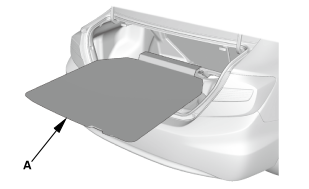 Install the fuel tank baffle plate (A). 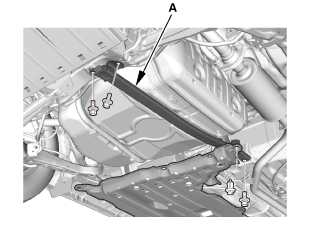 Install the rear floor under bar (A). 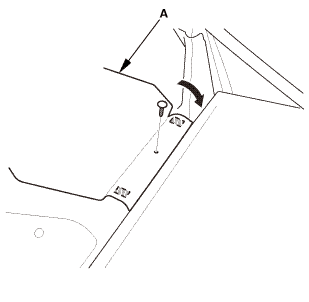 Install the bolts (A) securing the fuel tank baffle (B). 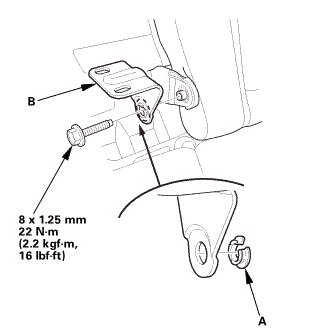 Install the left rear wheel.